HighTech Finishing is proud to announce a new green initiative at our production center in Houston, Texas. Our company has received a permit from the City of Houston that specifically allows our facility to discharge treated water directly into the city’s waste treatment system. The “Source Reduction / Waste Minimization Plan” is the result of our company investing in an in-house water treatment system. Our system uses specific chemicals and filtration processes to remove contaminants that could otherwise enter the city’s water system. Testing is performed multiple times per day at our in-house laboratory to ensure that effluent is within permitted limits established by the City of Houston Industrial Wastewater Division. 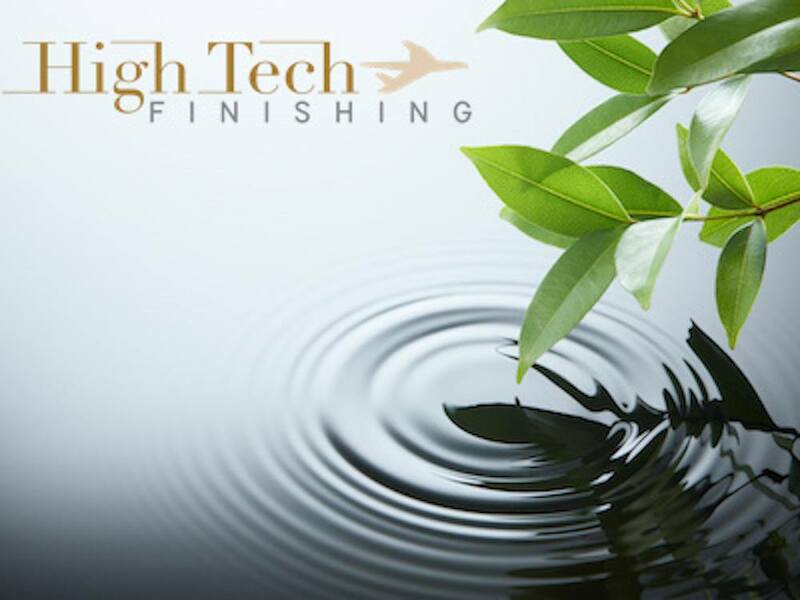 Why Did HighTech Finishing Pursue a Green Initiative? Our company cares about the environment that surrounds our production center. We are sensitive to the effects on our community from operating a metal finishing and electroplating business for luxury aviation parts. The green initiative is an extension of the environmental commitment our company has already made. Our environmental efforts include recycling of waste materials, reclamation of metals, and advanced water and air filtration systems. “We owe it to our employees, the surrounding community, and the business aviation industry to ensure that we are making positive contributions to the environment,” says Vice President, Rick Niefield. To support the Source Reduction / Waste Minimization Plan, we have trained our employees on how to follow the established policies and procedures. This will allow us to continue adhering to the City of Houston’s standards. We also have additional environmental goals registered with the TCEQ (Texas Commission on Environmental Quality). A “Waste Reduction Plan” is submitted every five years and progress is measured on an annual basis. The results are then submitted to the TCEQ Board for review. HighTech Finishing looks forward to following through on our commitment to operating in a safe and environmentally-conscious manner. We believe this is the best approach to continue delivering the highest quality aviation parts to our clients. Sharp curves. Glistening metal. Vibrant colors. Sleek finishes. Each guest who steps onto your luxury jet should be overwhelmed by the pristine composition of the interior elements. To arrive at the ideal condition, your parts need to be supported by capable hands, industry-leading machinery, and a proven metal plating process that produces the highest quality products. HighTech Finishing has refined a 50-step metal plating process to ensure first-class treatment and delivery of interior metal for your aircraft. We start by receiving parts. Next, we evaluate the quality of the parts through a visual inspection. After cleaning and stripping the parts, we perform several polish steps to prepare for a brilliant finish. Our team then prepares the part for metal plating. Once the metal plating steps are complete using our high-tech machinery, we hand-paint each part to specifications. After baking or curing the paint, we assemble the parts and prepare the elements for shipment to the customer. Throughout the process, we perform quality assurance checks. Our expert team is highly-trained to identify the slightest imperfection. We will repeat steps if necessary to ensure an outstanding product before final delivery. HighTech Finishing has led the decorative aviation plating service for more than 30 years. We will continue to lead the industry through our use of advanced technology and process improvements. 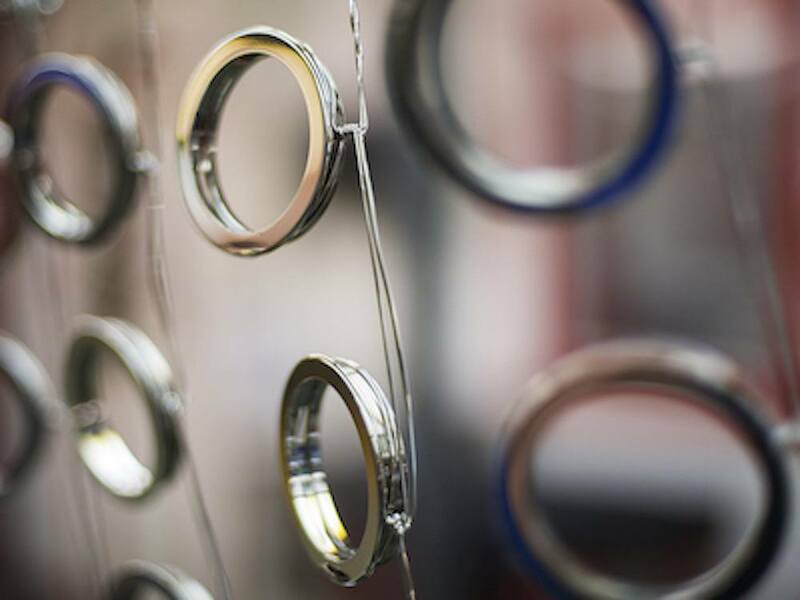 Our expertise in the metal plating process allows us to quickly turn around your order without re-work. The result for your company is the opportunity to showcase the finest luxury jet interior for your valued guests. To our valued customers: contact us today to discuss your next metal plating project. For first-time customers, contact us today to inquire about the full capabilities of our metal plating service. HighTech expands its Disassembly / Reassembly (D/A) services to expedite customer deliveries. Many of the parts HighTech Finishing receives from customers require disassembly prior to processing. Once processed, reassembly is required before being returned to the customer. HighTech has been performing the D/A service on parts for many years on items such as latches, hinges, gaspers and other assemblies typically found in an aircraft interior. Over the years, electrical components have become more prevalent and the process of plating these pieces was less than efficient. Parts would have to be removed by the customer then sent to the switch manufacturer for disassembly. The switch manufacturer would then send the bezel to us for plating. 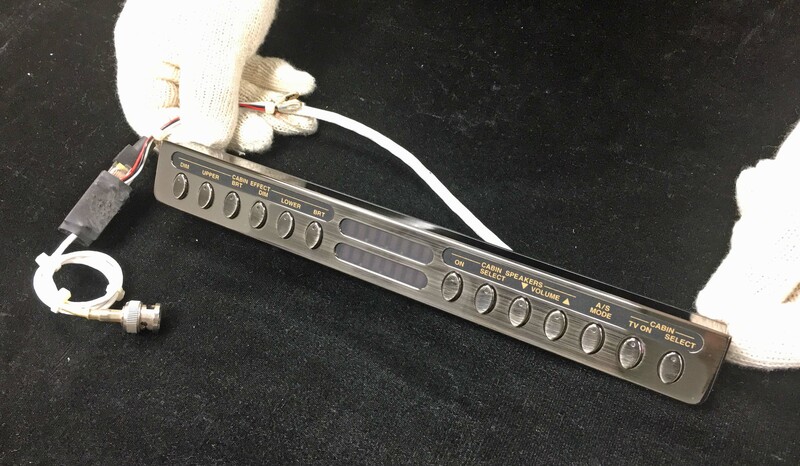 After plating was completed, we would send the bezel back to the manufacturer who would then reassemble the switch and send back to the customer. The resulting days of wasted down time added an undue burden of potential delays and cost to the customer Now, however, HighTech has expanded the D/A services to include many electrical components not previously available. Contact Us today at 800-949-0124 or complete our Contact Form for more information or to start your interior project. You may have noticed a change to the look of HighTech Finishing. As an industry leader in aviation plating design, we decided to apply our noticeable design work to visually refresh our company’s look. Our new logo conveys the brilliance you have come to expect from each custom plating order that you purchase from our company. Our new colors convey the attention to detail and high-quality, sleek designs that you have come to expect from the High Tech Finishing team. Our new website provides faster access to custom color plating options that you can mix and match to determine the best fit for your order. Why were these updates important to our company? The team at HighTech Finishing is committed to delivering the highest-quality products for our long-time and most recent customers. We desire for that commitment to be reflected in every experience you have with our company. That includes every package received, every interaction with our ordering system, and every visual from the HighTech Finishing product line. That’s why we re-created our Services page to offer you an up-close, exciting method to select from our 130+ custom plating options. This will set you on the path to placing your latest first-class order. We want our customers to know that when they receive a delivery from HighTech Finishing, it will meet your customer specifications, be on-time, and give you a rush of excitement knowing that you selected a product that will wow passengers when they walk onto your plane. With our new brand initiative, we are elevating brilliance by outwardly displaying our company’s expertise to deliver you the most noticeable aviation plating products on the market. Once you visit our re-designed website and interact with our new features, be sure to reach out to the HighTech Finishing team to get started on your next order. Our knowledgeable team is prepared to walk you through the ordering process to meet your requirements, utilize our custom color matching capabilities, and offer additional features from the largest capacity in the industry. Contact us today by phone at 800-949-0124 or complete our Contact Form to take advantage of our momentum that will push your design forward. 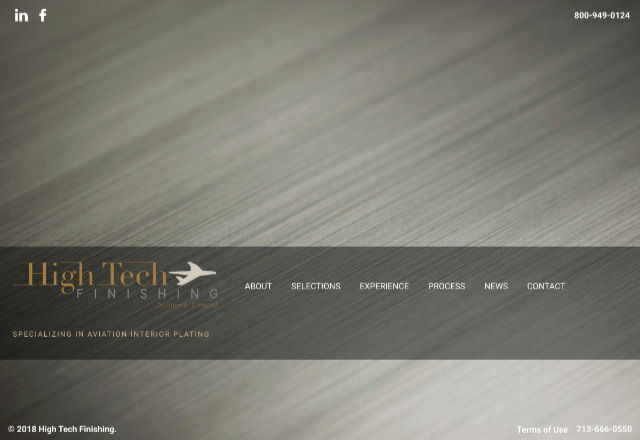 As part of the new HighTech Finishing brand initiative, we are proud to introduce a new way to select the aviation plating finish that meets your specifications. HighTech Finishing features more than 130 brilliant decorative finishes, including the ability to custom match finishes to samples from competitors, fabrics, woods, paint swatches, or other materials. Additionally, our ISO9001/AS9100 processes ensure that custom colors can be replicated on every part with consistency that you would expect from a leader in the aviation plating industry. 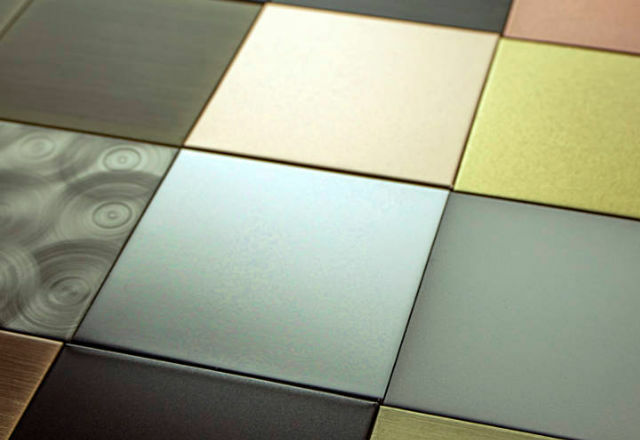 We are confident that our dazzling array of colors will compliment any interior plane layout. This provide our customers with access to the products that match their most creative and unique design concepts. What Custom Finishes Do We Offer? This list represents just 30 of the brilliant 130+ decorative finishes we offer our customers. Now through our redesigned Finishes page, you can view each finish on a piece of the airplane to visualize how the finished product will look in your next order. Ready to get started on your next order? 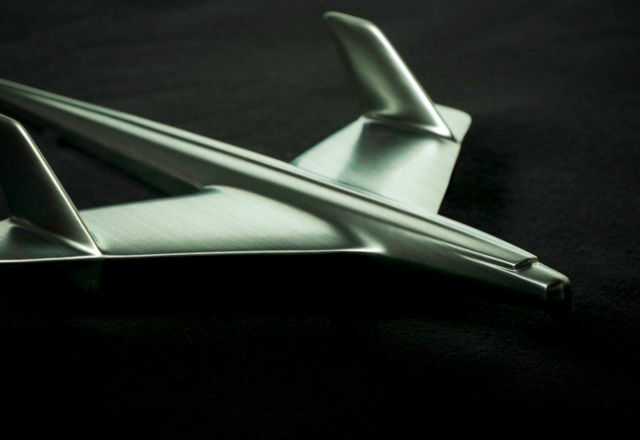 Contact Us today by phone at 800-949-0124 or complete our Contact Form to take advantage of our elevated method for aviation plating selection to push your design forward. HighTech Finishing dazzled attendees at the 2017 NBAA-BACE Business Aviation Convention and Exhibition this October in Las Vegas. Every year since 1991, HTF has attended this important aviation trade show. This year, we unveiled our new brand initiative further highlighting our aviation plating products and services. Why Did We Unveil at NBAA-BACE? 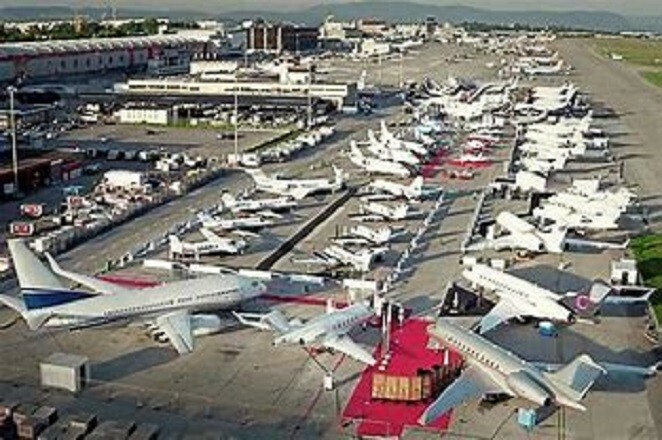 NBAA-BACE is the largest trade show in the industry, bringing together thousands of diverse players in the aviation market. These individuals come from backgrounds that include manufacturing, electronics, and even carpeting. For our purposes, we typically connect with designers and purchasers who are seeking a unique look or high-quality product for their customer. Attending and displaying at the show allows us to meet with prospective and current customers as well as build relationships with tertiary suppliers. Because this show is part of our history and so important to our company, we decided it was the perfect opportunity to unveil our new brand. Visitors to our booth had the opportunity to see first-hand the level of detail and quality that goes into our plating process. We also displayed a wide variety of sample parts and finishes to generate interest in our products. Plus, we hosted our well-known pedal plane raffle to give booth attendees a chance to walk away from the conference with an amazing prize. Those relationships are special to our business. Because HighTech Finishing has attended the NBAA-BACE conference since 1991, it is rewarding to be able to connect with a wide range of familiar customers and suppliers each year.